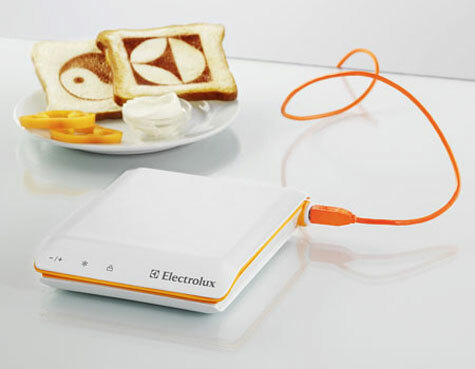 A toaster that can print anything onto a piece of bread from Swedish manufacturer Electrolux. designers invented a toaster that can burn pretty much anything onto your morning slice, including the news. The Scan Toaster connects to a PC over USB and downloads everything from local weather conditions and the current time to the morning’s news headlines.